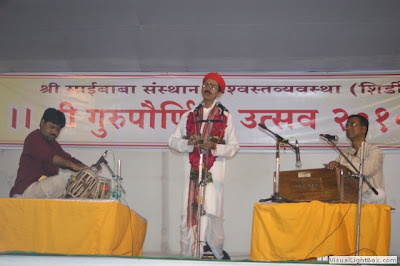 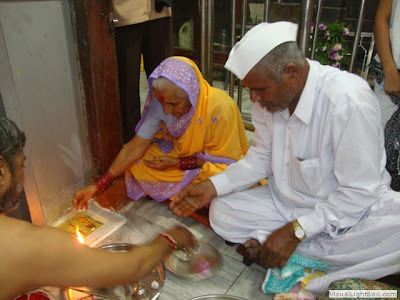 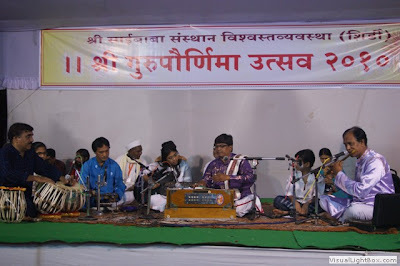 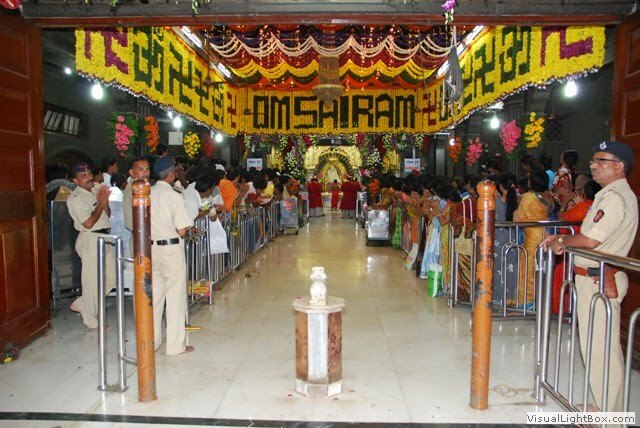 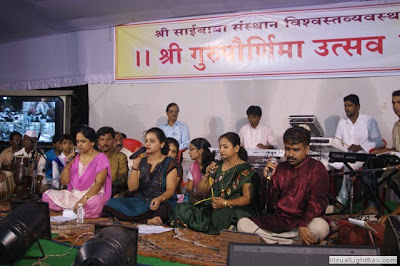 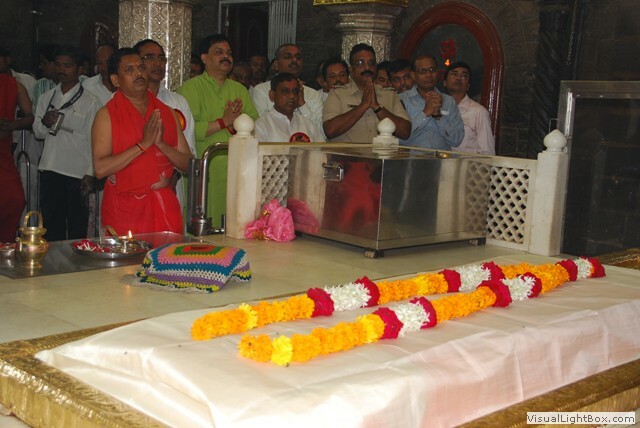 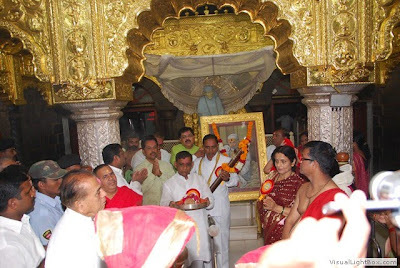 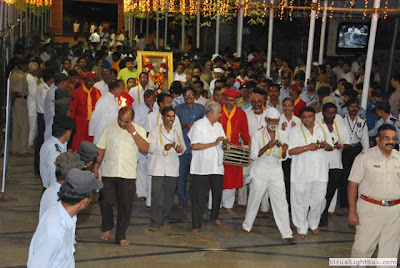 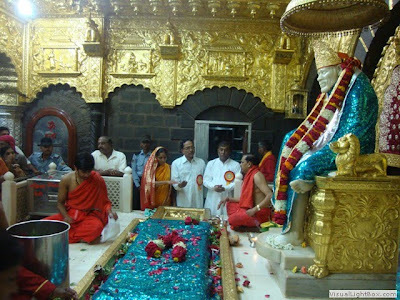 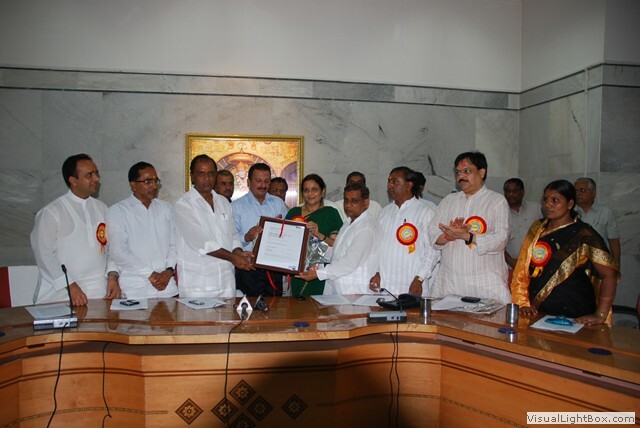 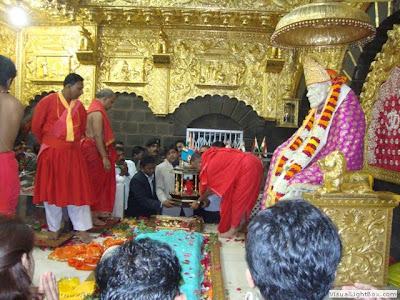 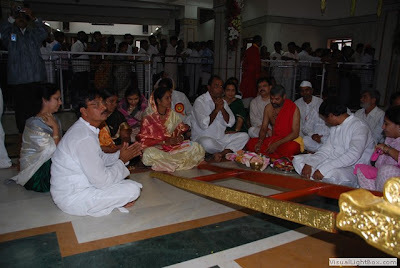 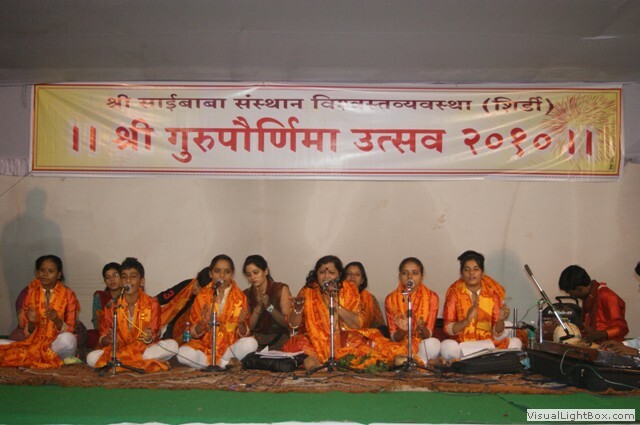 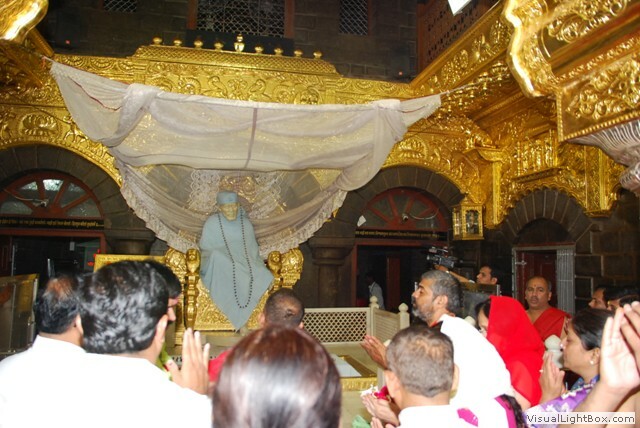 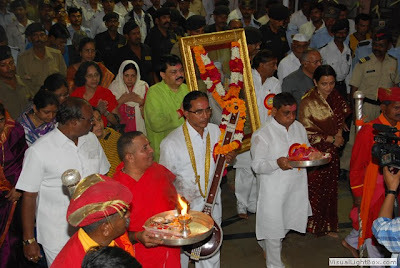 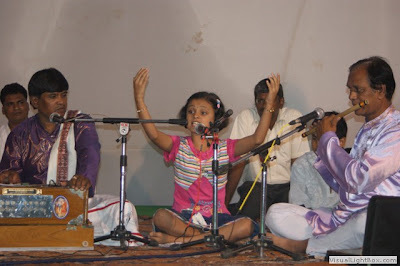 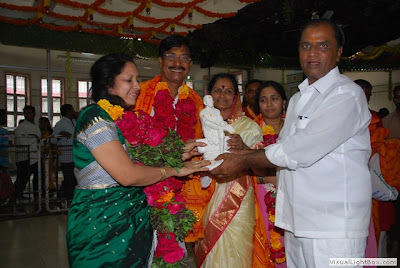 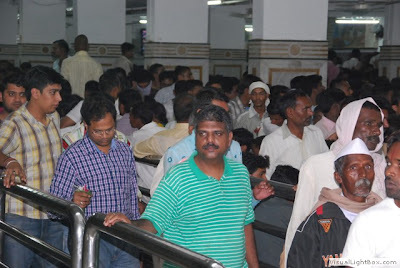 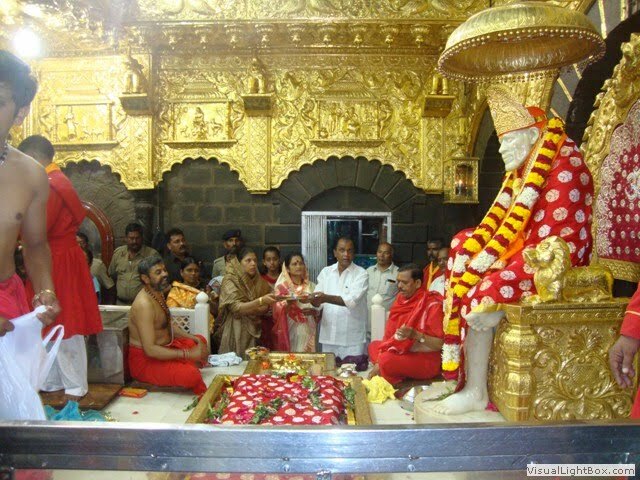 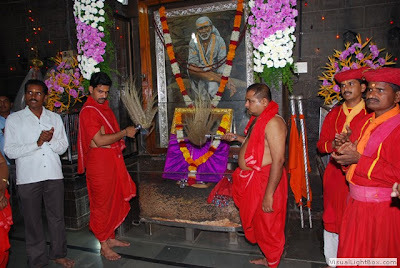 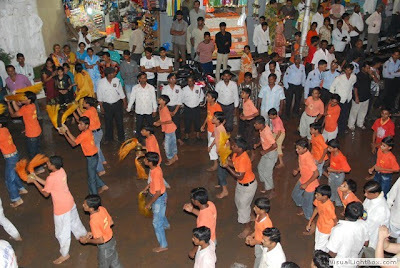 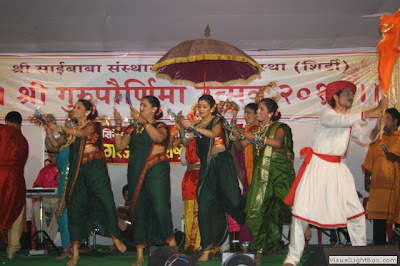 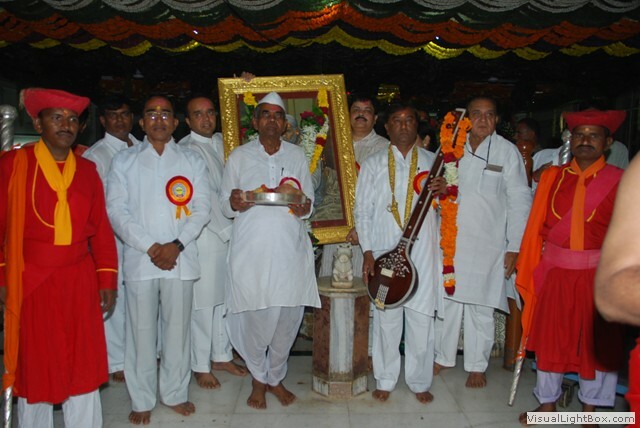 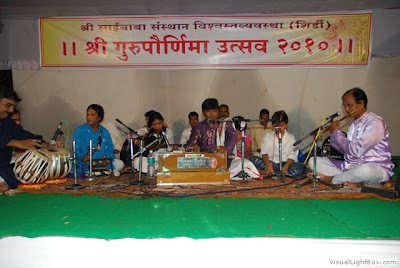 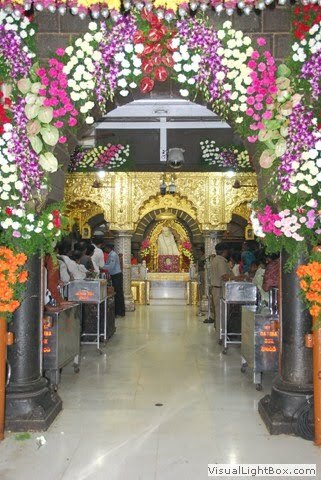 On the occasion of 'Guru Poornima' festival, a large number of people flocked to Shirdi, to offer their prayers to their Guru "Shri Sai Baba" on Sunday 25th July 2010. 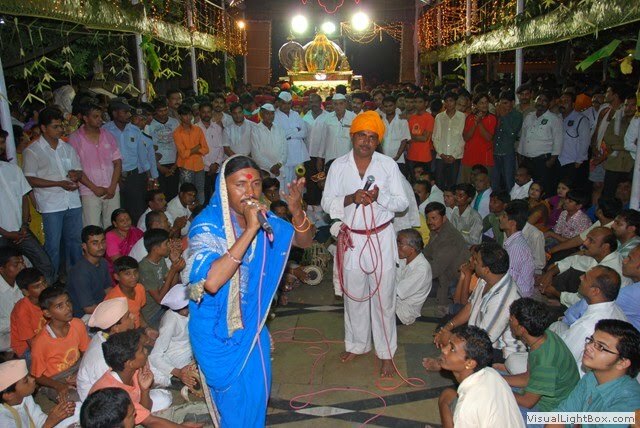 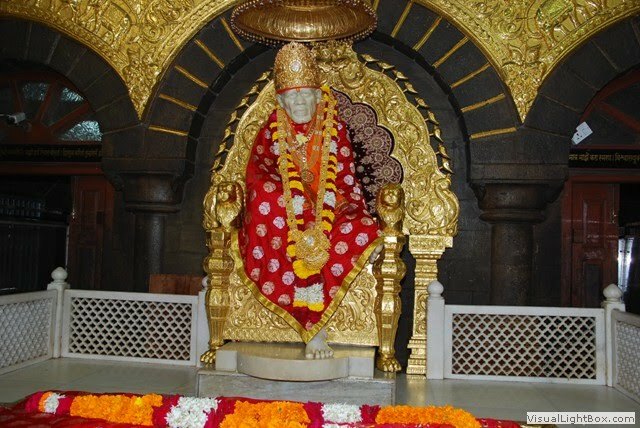 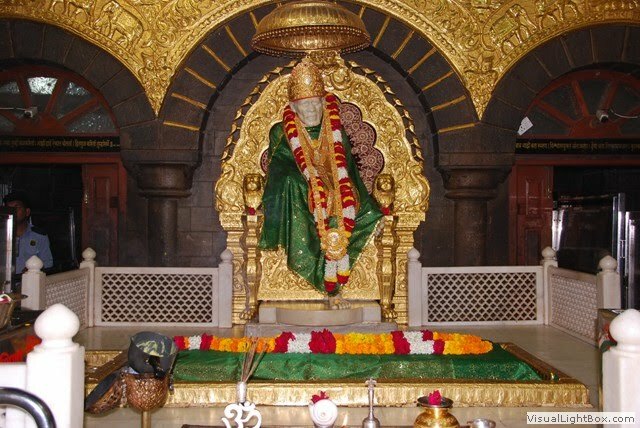 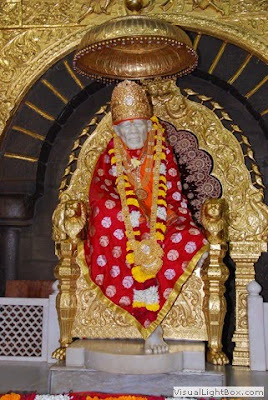 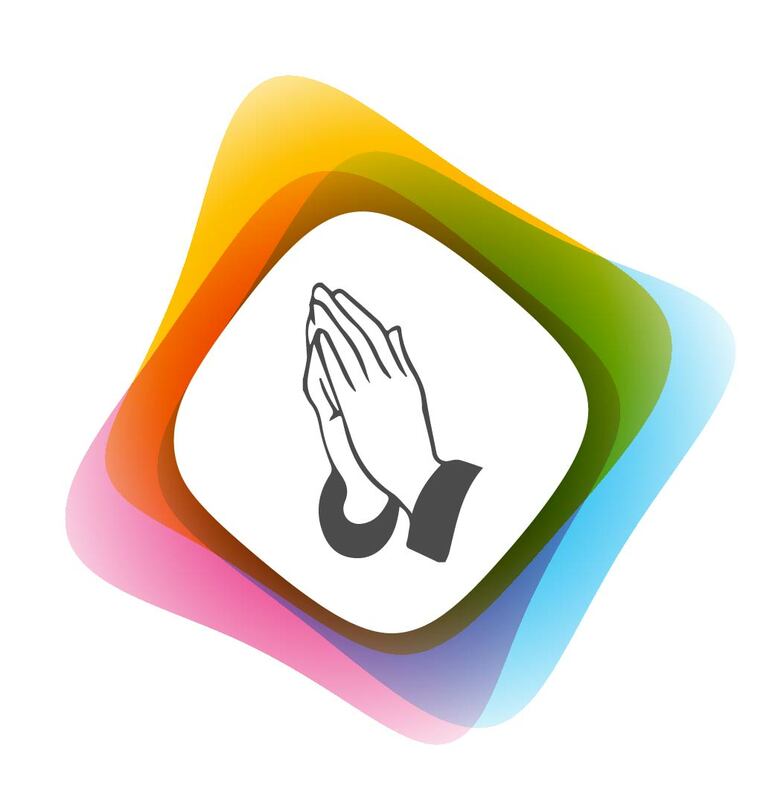 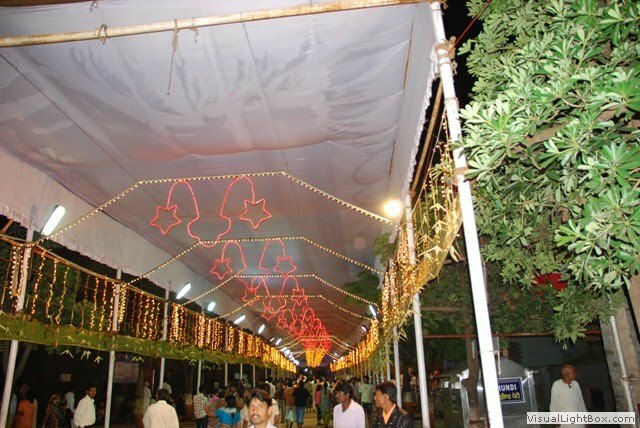 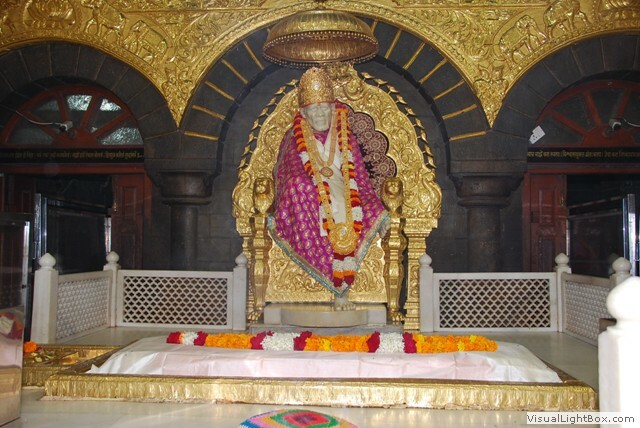 A festive ambiance pervaded the small town of Shirdi in Maharashtra, where a sea of believers converged at the famed shrine of the revered saint, Sai Baba, to offer their prayers. 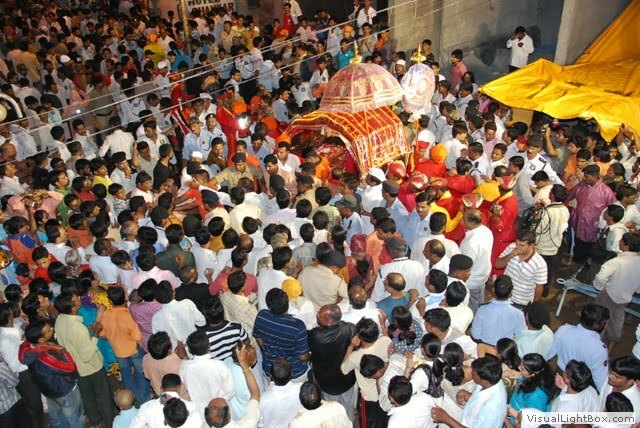 Around 5 lakh devotees queued up outside the shrine since early morning just to get a glimpse of the deity, who used to be viewed as the Guru by many people. 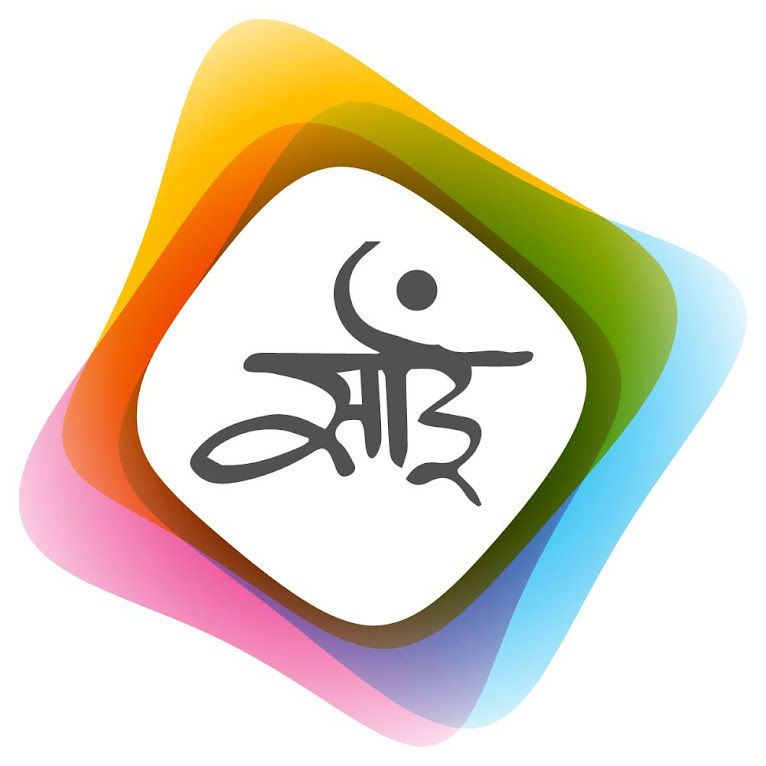 "Baba is the central force of the universe. 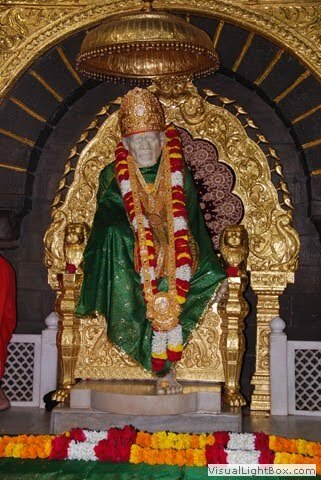 When Baba used to sit in the shrine, his followers used to offer prayers and worship him on the Guru Purnima (full moon day). 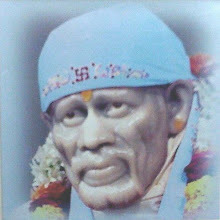 This practice gained prominence ever since and has been followed till date, to commemorate Baba's influence on his followers," said Vidya Kshirsagar, a priest. 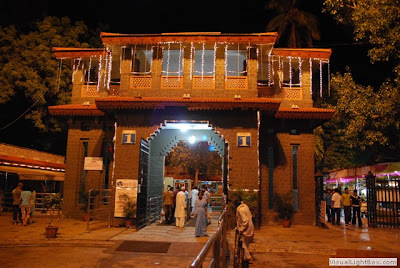 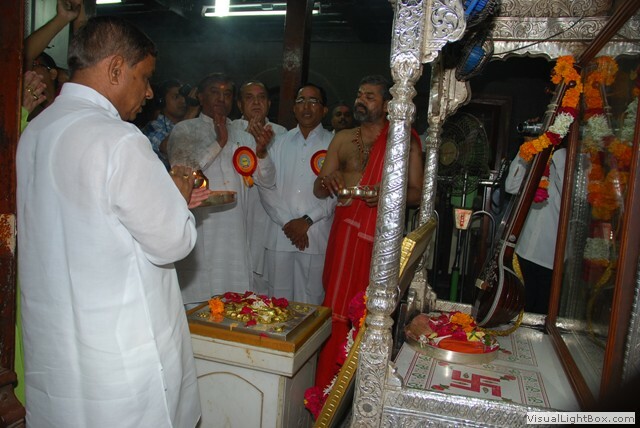 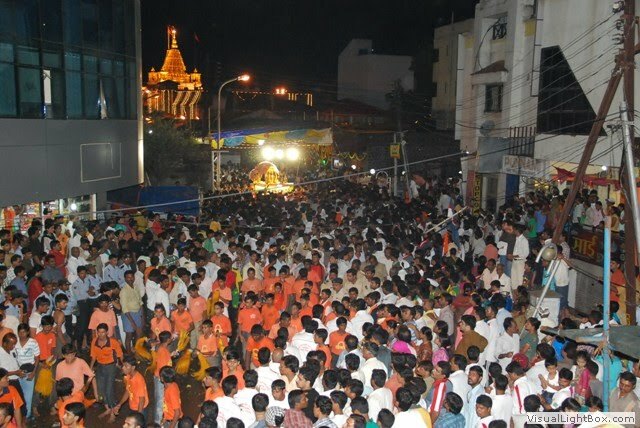 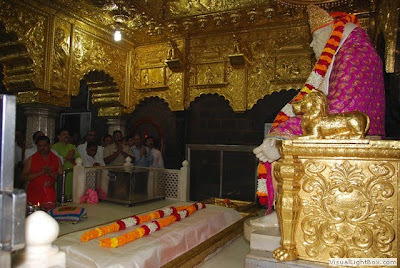 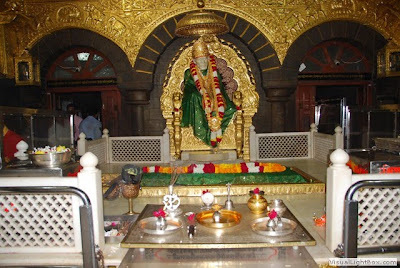 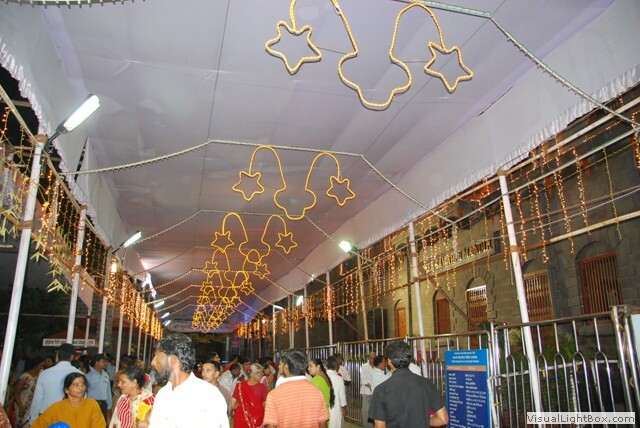 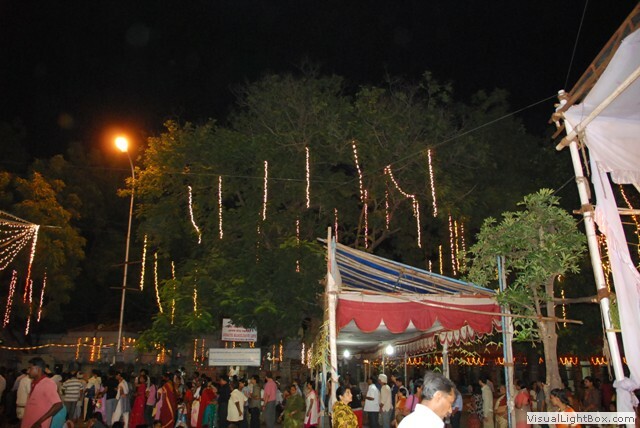 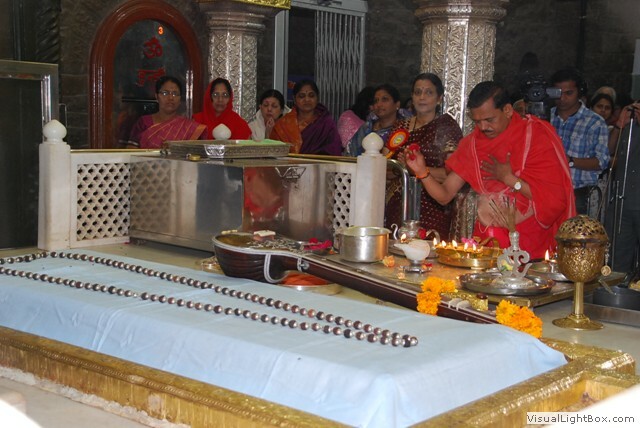 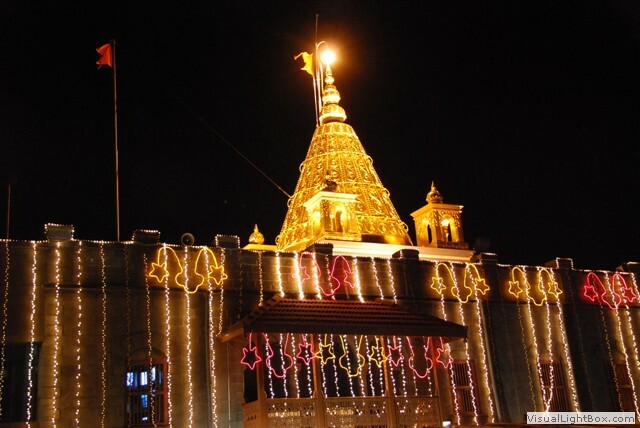 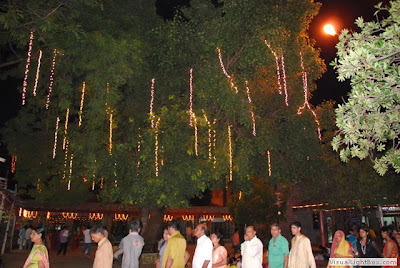 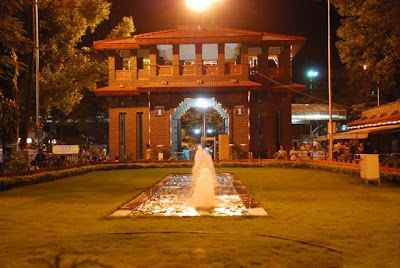 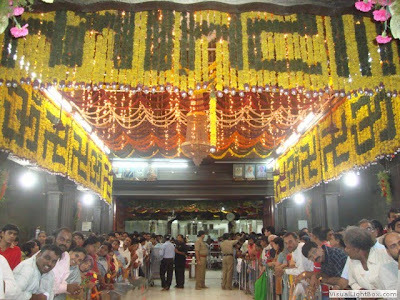 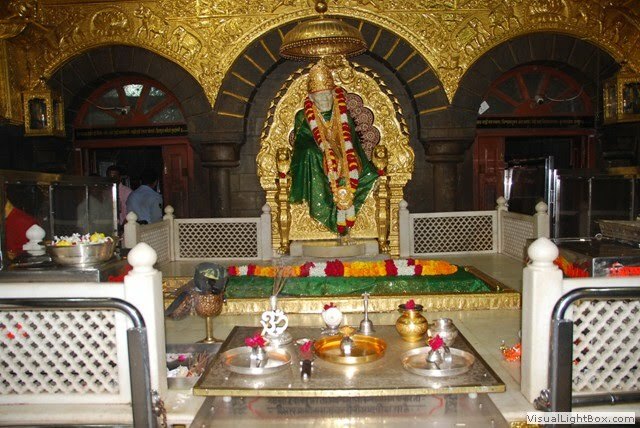 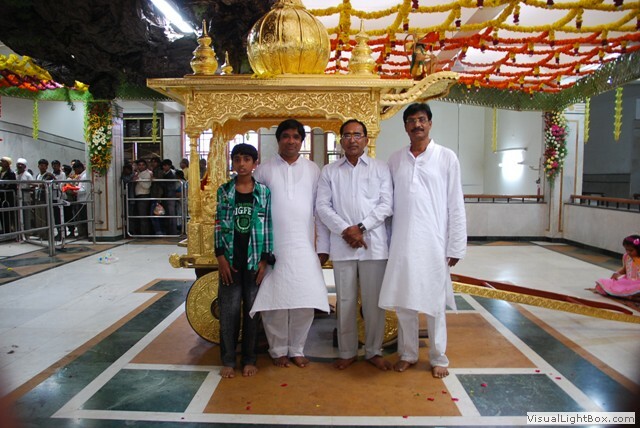 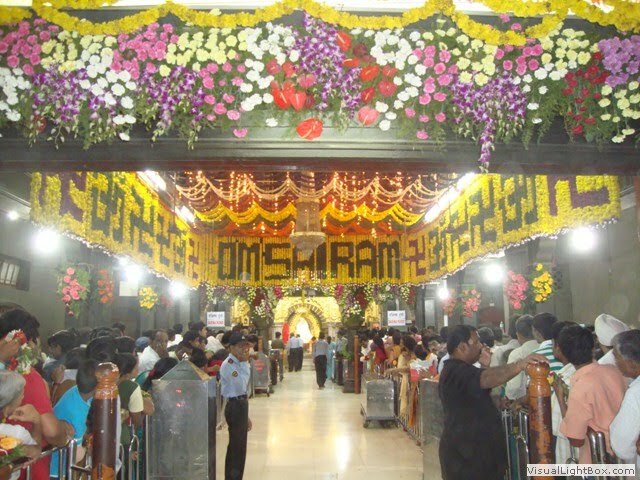 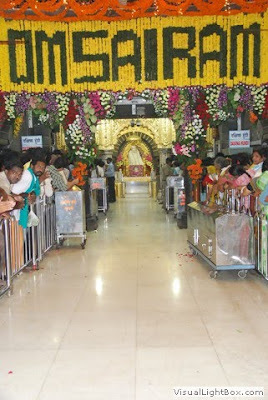 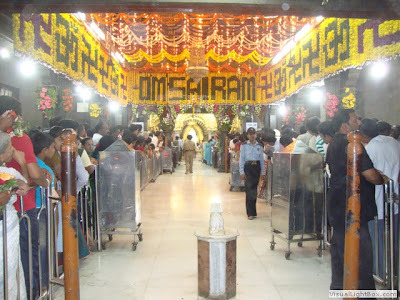 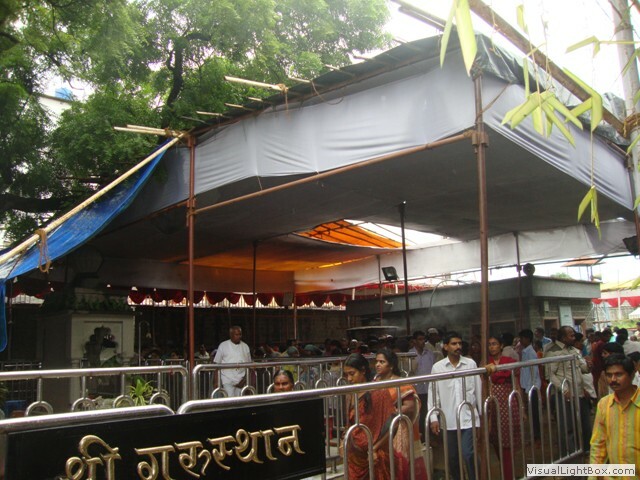 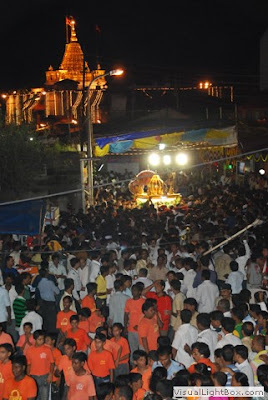 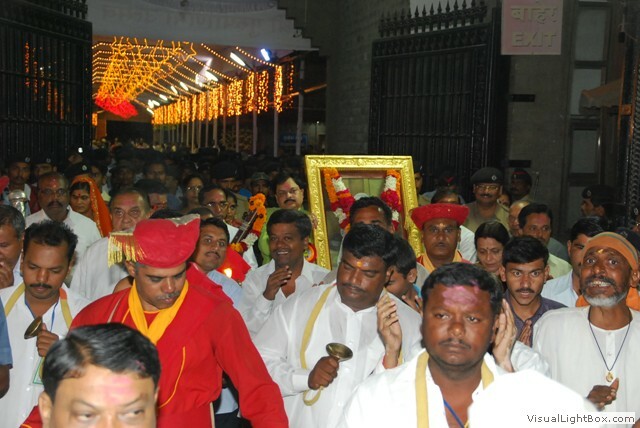 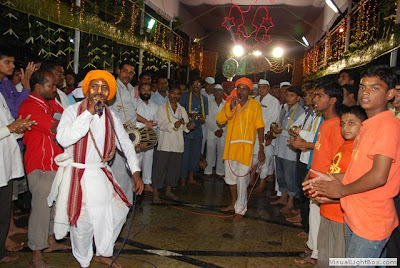 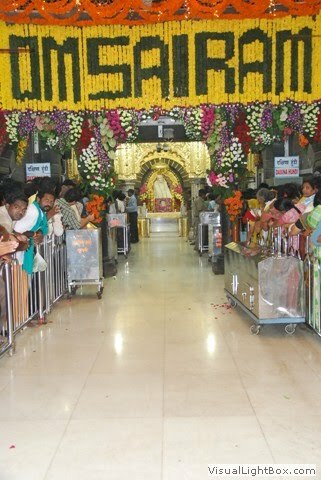 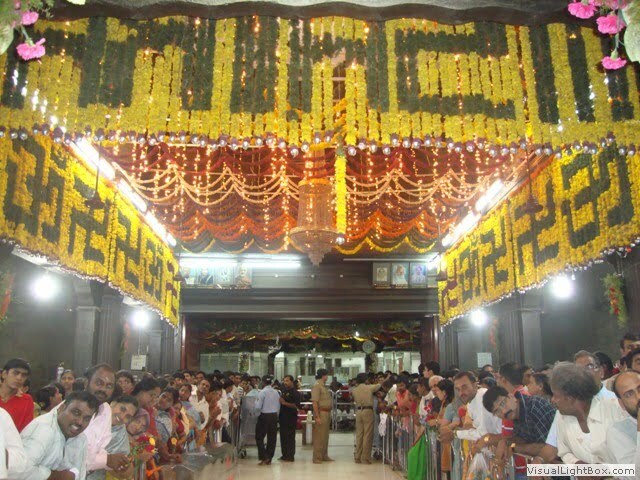 2) The Temple remained open the entire night for devotees to have Baba's Darshan. 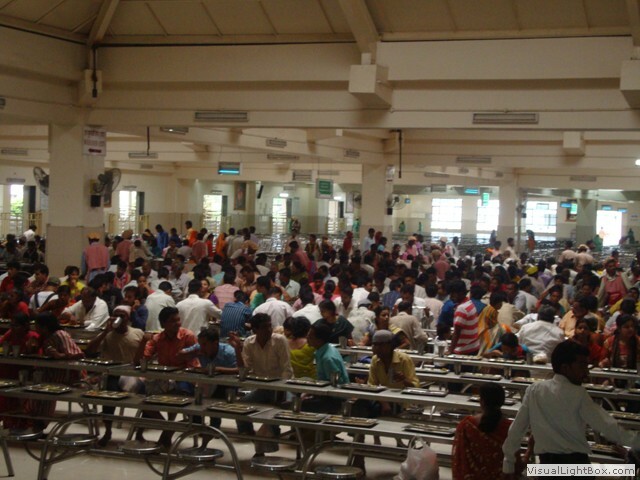 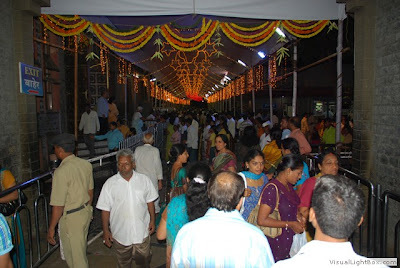 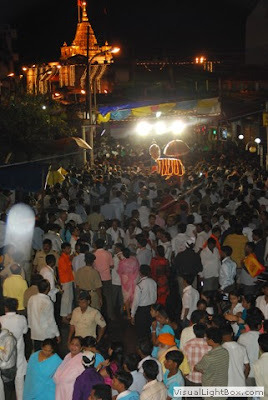 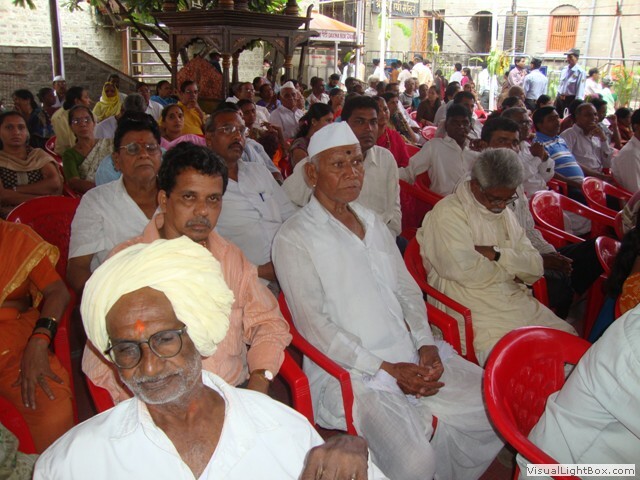 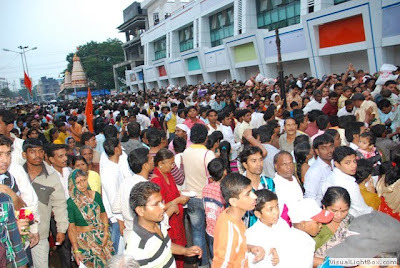 3) 25th July being a Sunday (Holiday), poured in more than expected number of devotees. 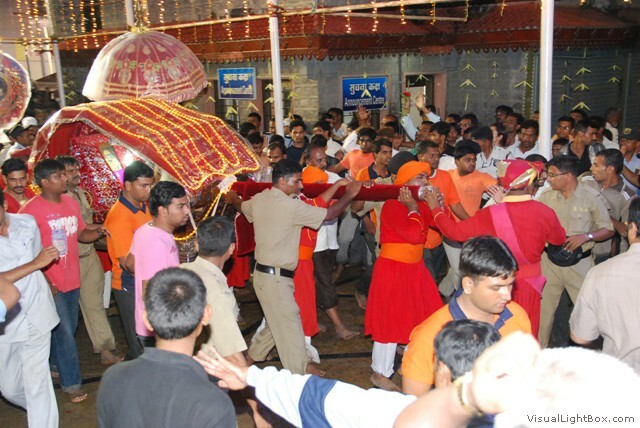 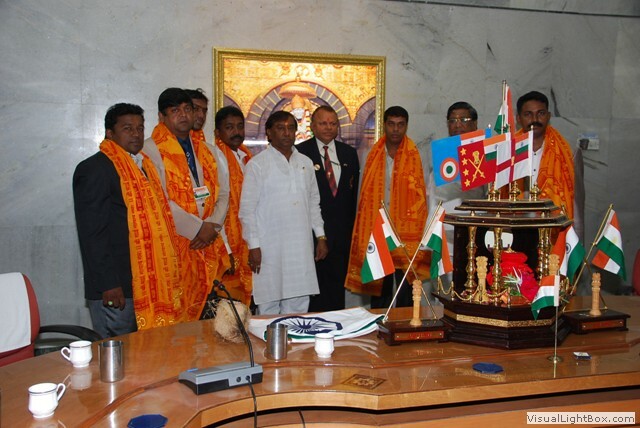 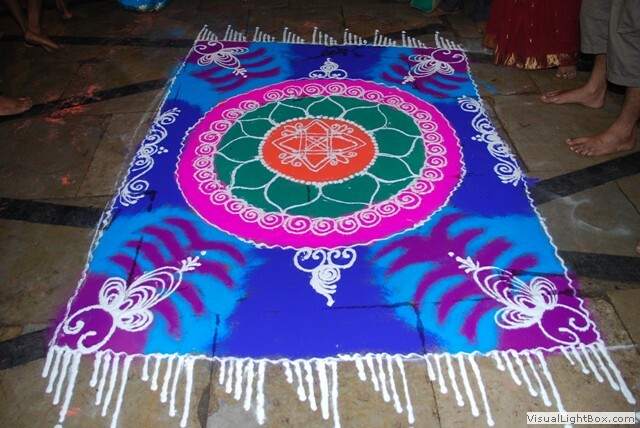 The Temple authorities made elaborate security arrangements to avoid any untoward incident. Even though it had been Raining the whole day, devotees from all over reached the Temple since early morning, on the auspicious day. 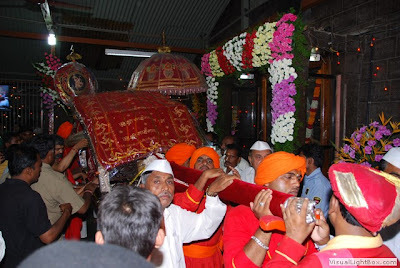 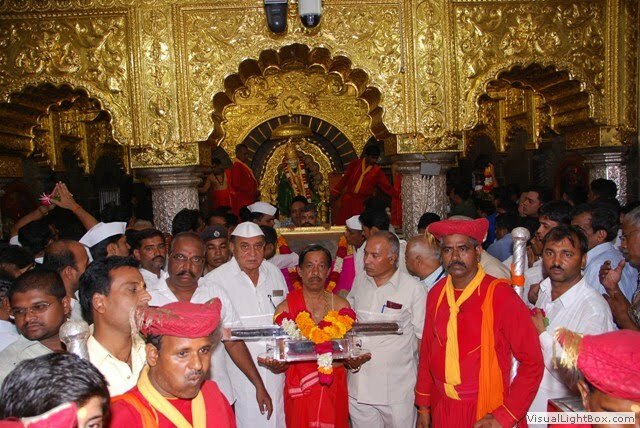 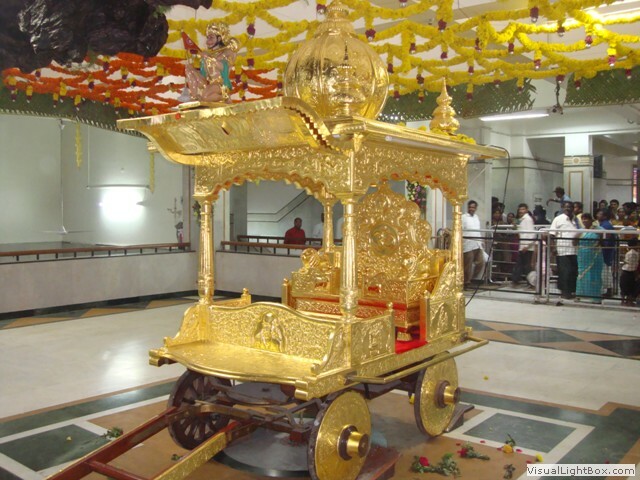 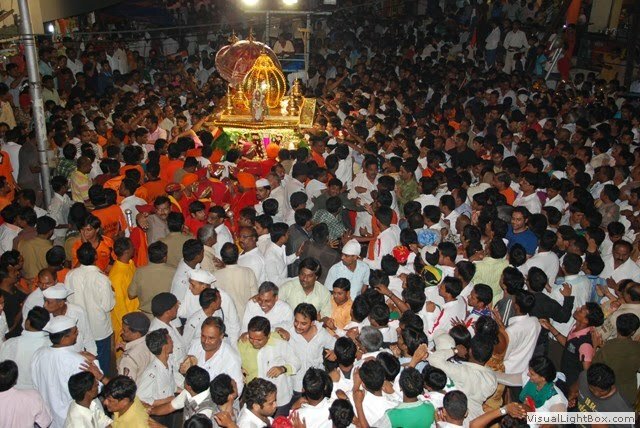 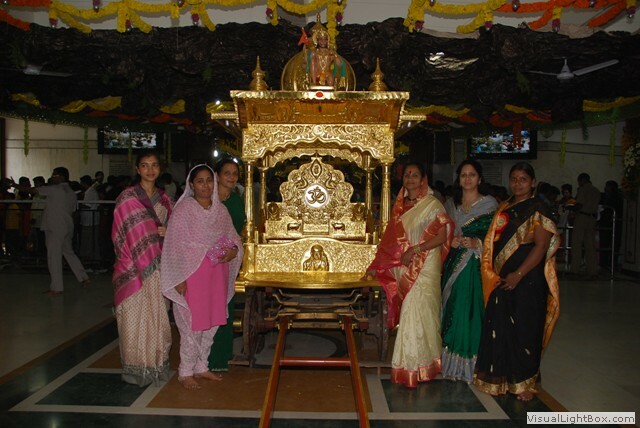 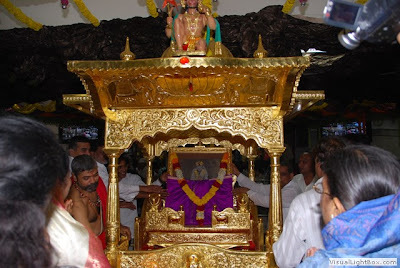 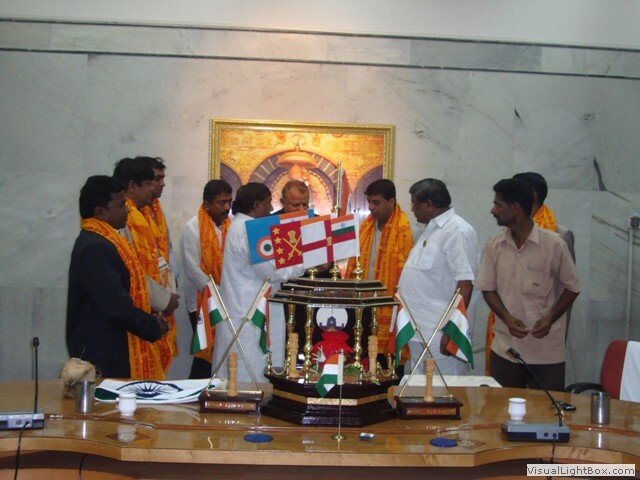 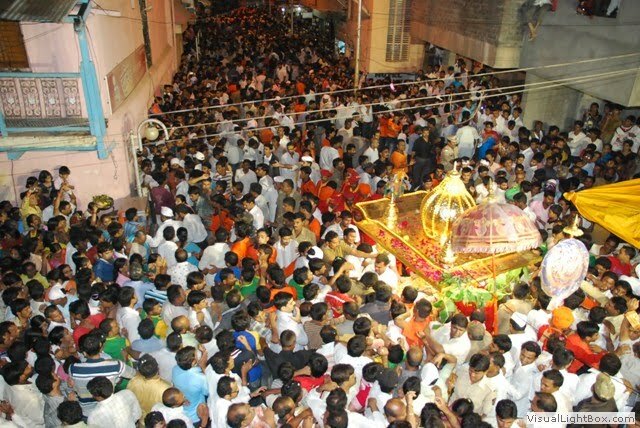 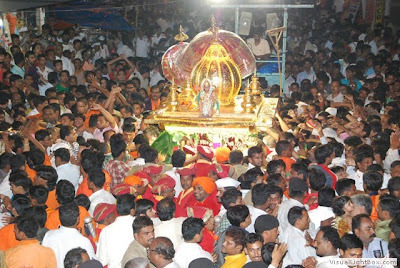 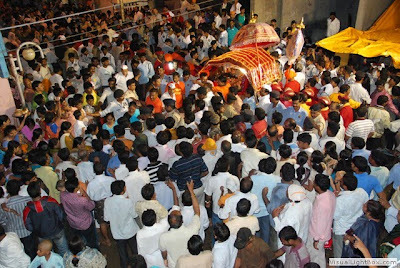 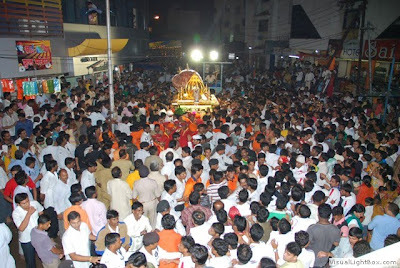 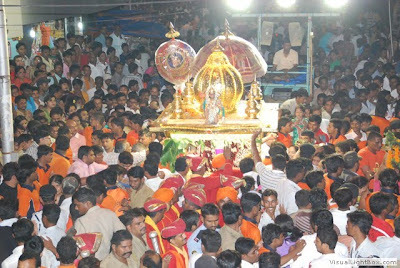 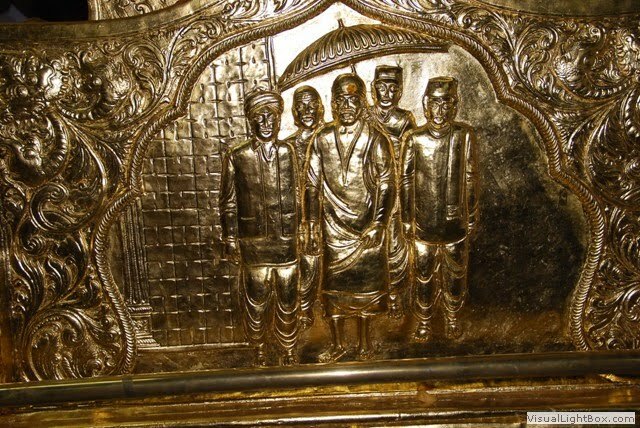 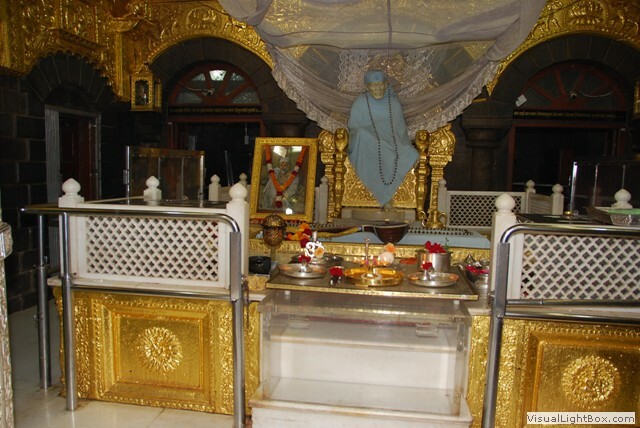 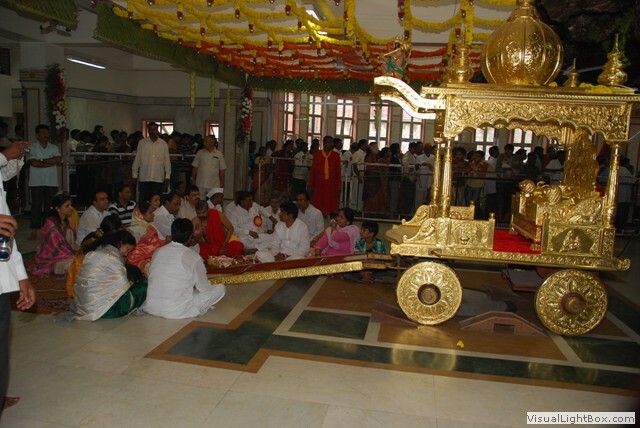 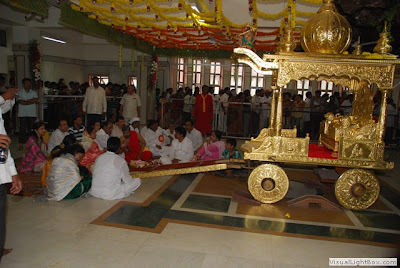 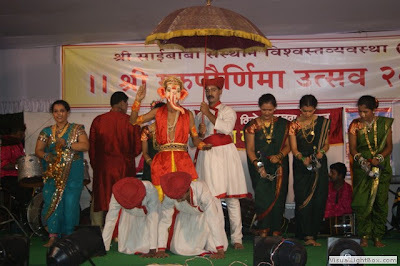 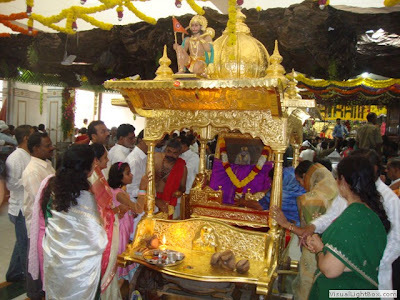 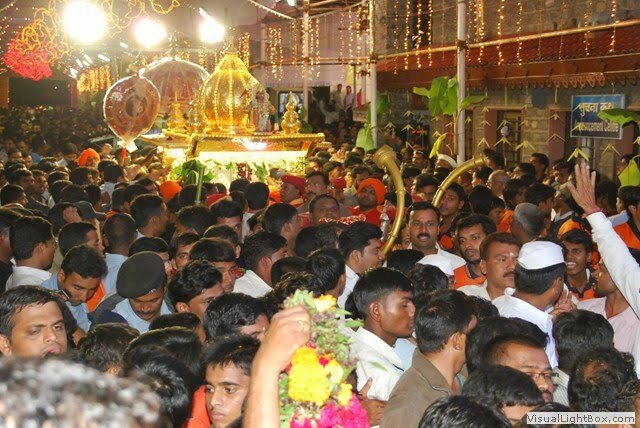 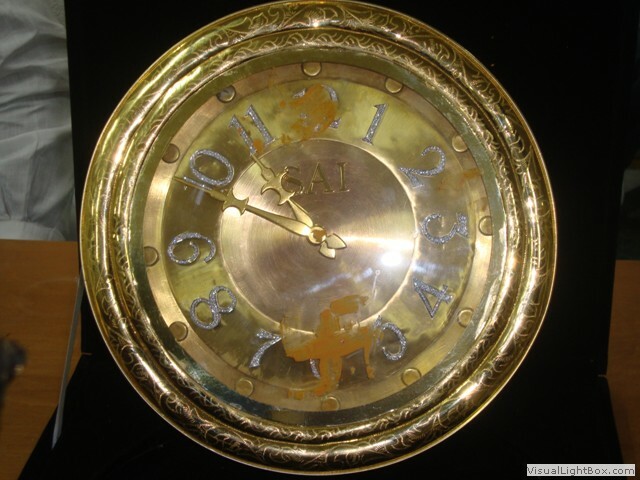 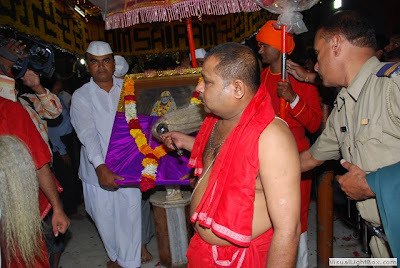 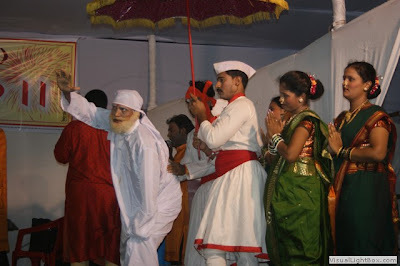 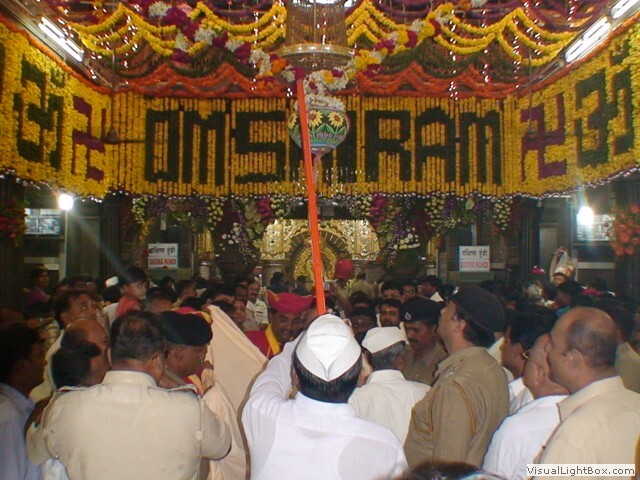 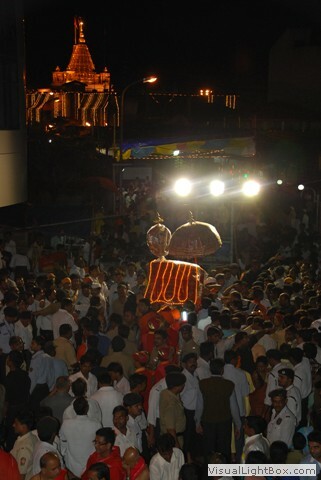 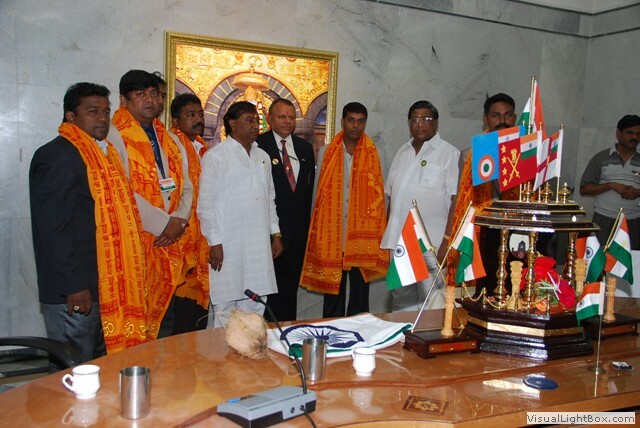 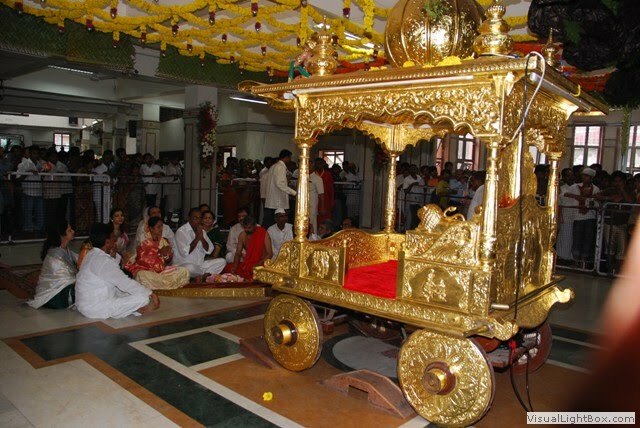 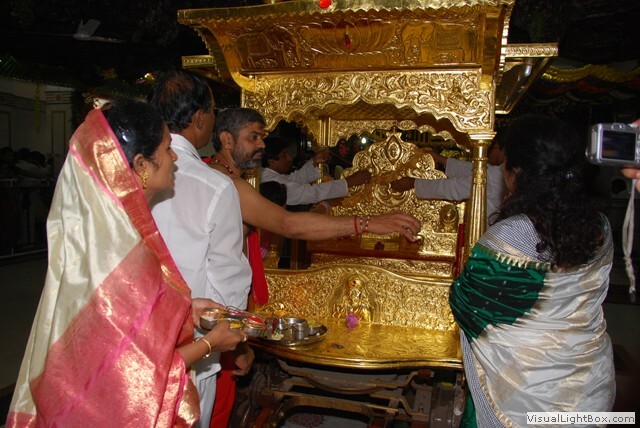 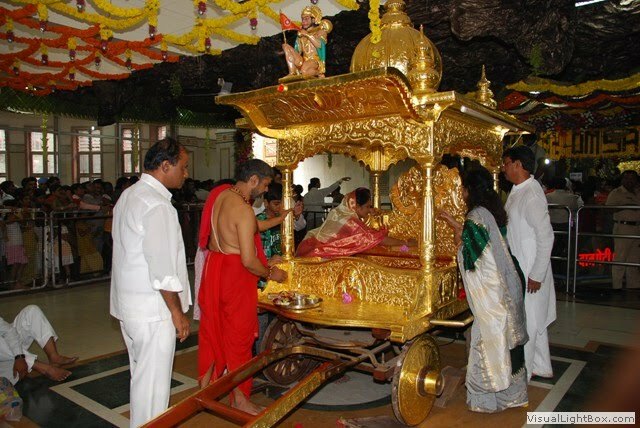 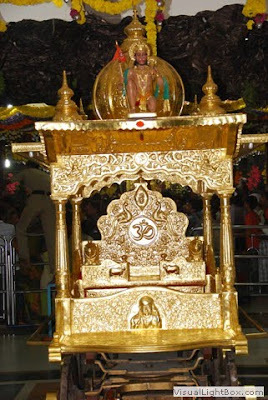 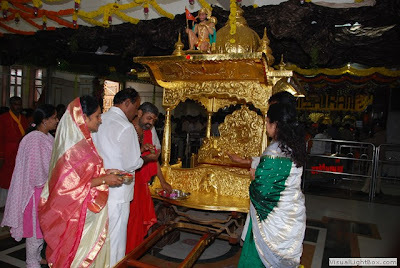 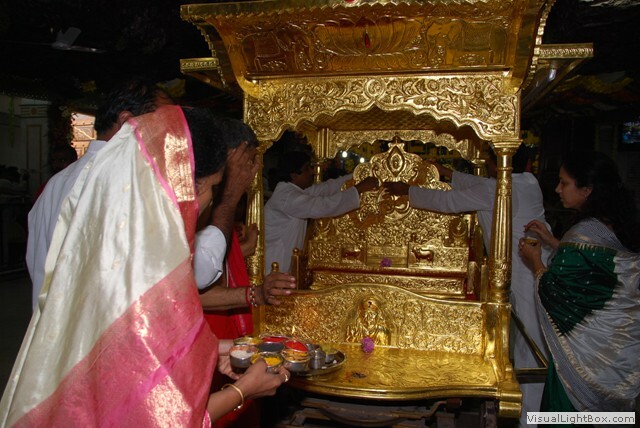 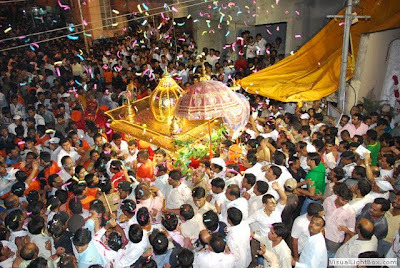 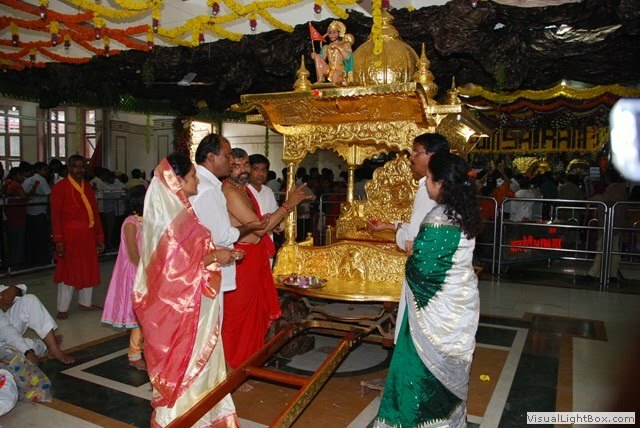 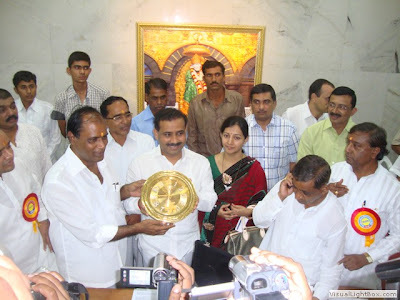 Apart from Baba's Traditional Wooden Chariot (Rath) which is now converted into Gold, the Shirdi Sansthan possesses one another old Wooden Chariot (Rath) also, which it had planned to auction away on Gurupurnima itself but on strong objections by devotees, the Sansthan had to cancel the Auctioning off. Reasons attributed by the devotee's were that when the Sansthan is not short of Money or Space to keep the Chariot, then why were they Auctioning away Baba's items. 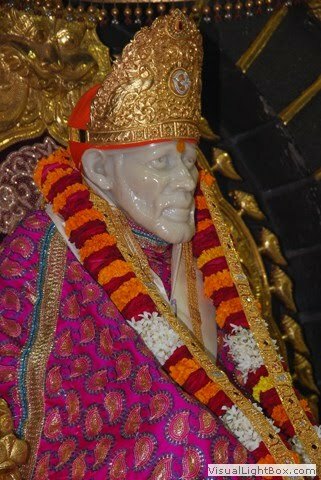 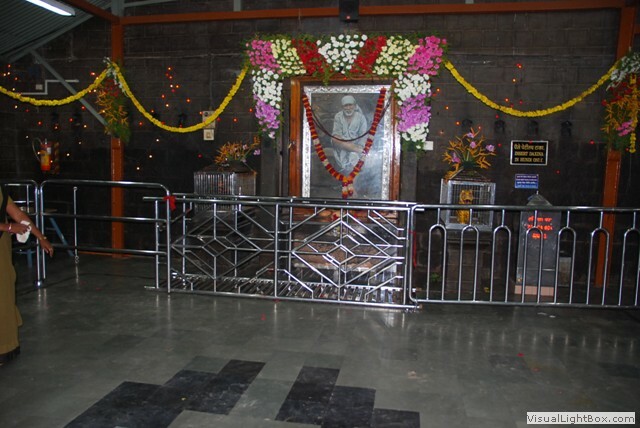 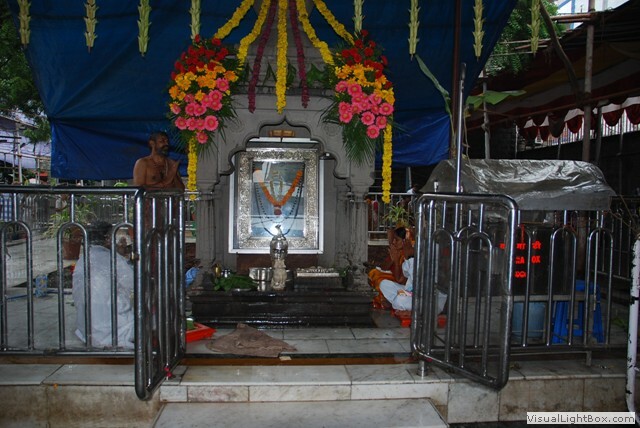 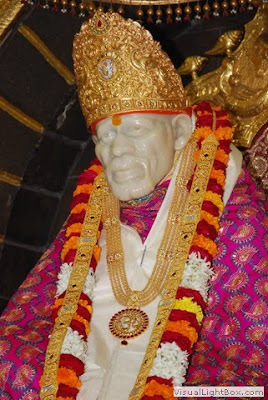 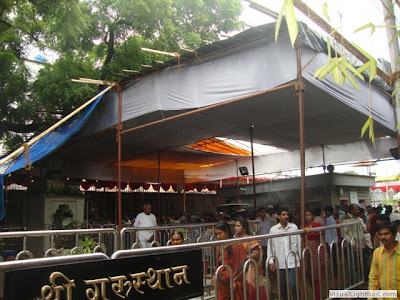 Also, owing to the ever growing rush of devotees at Shirdi, the Stone in Dwarkamai on which Baba used to Sit, has now been enclosed in a See through Glass frame. 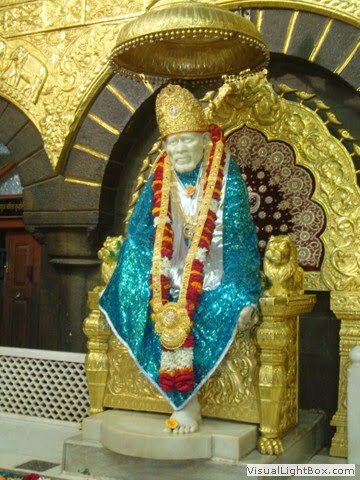 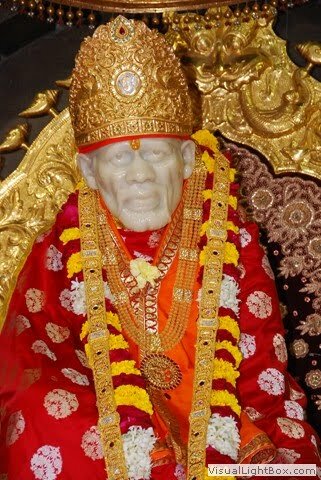 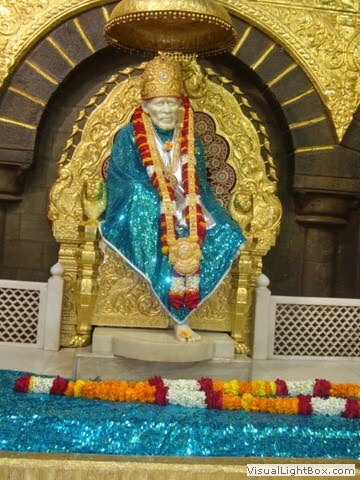 Two eyes are sufficient to see baba. 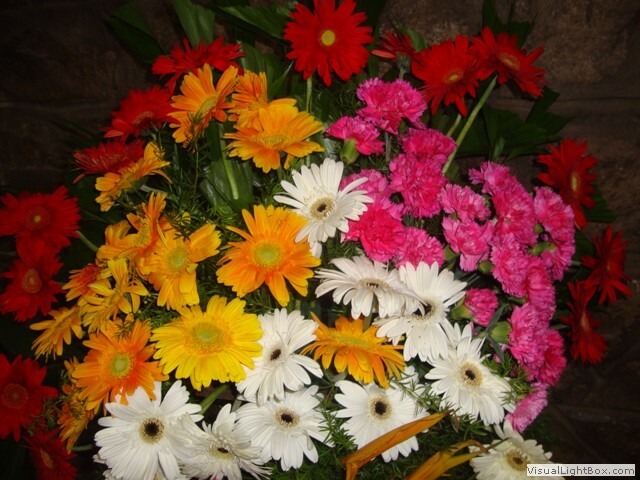 REALLY ITS A GORGIOUS PHOTOS!!!!!!! 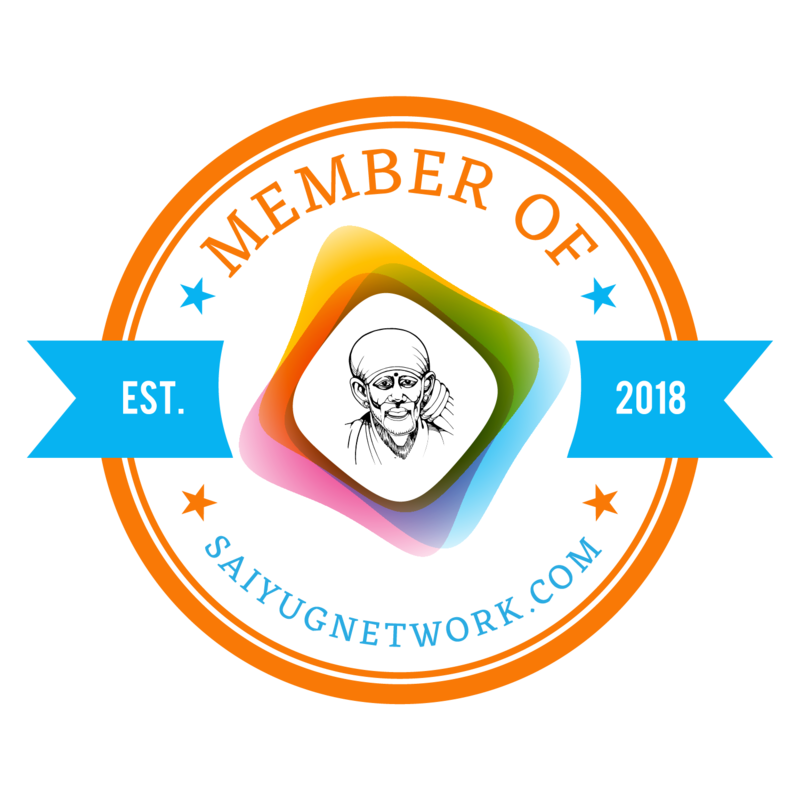 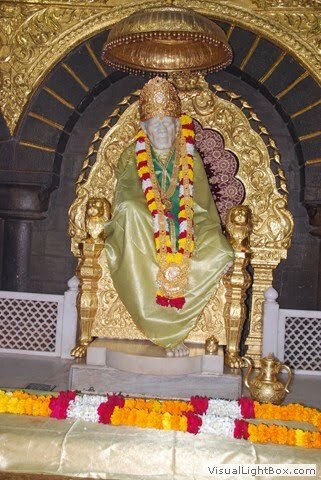 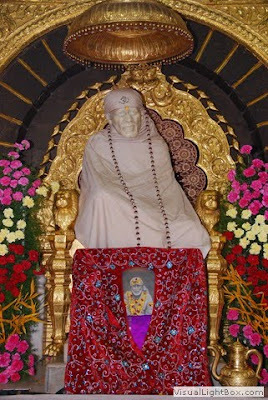 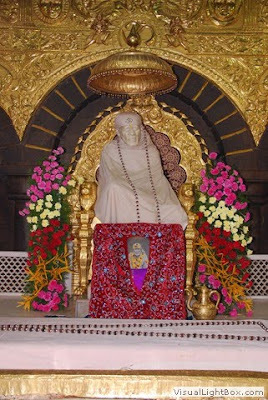 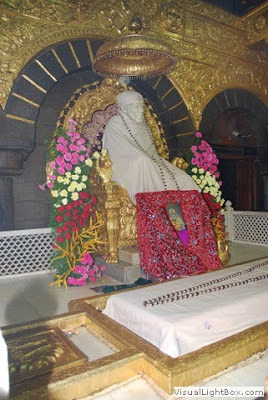 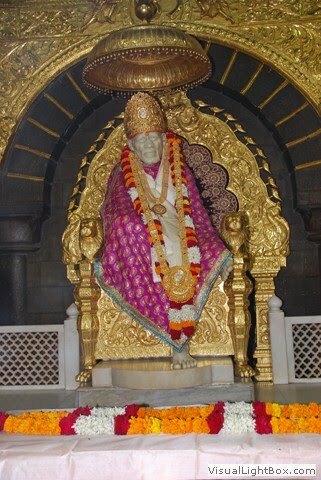 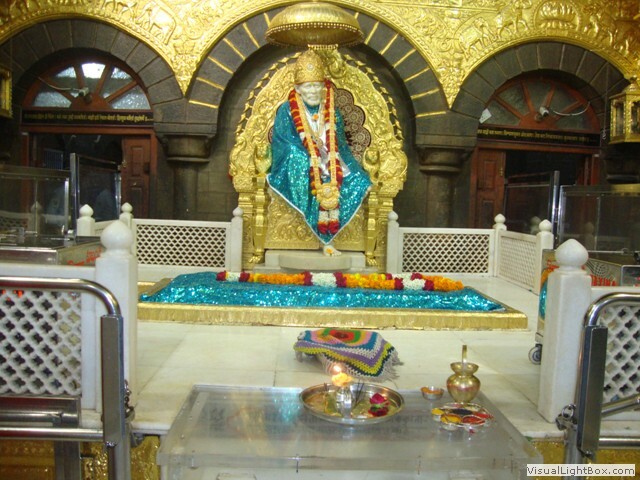 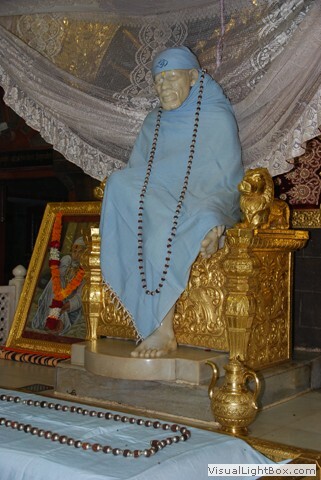 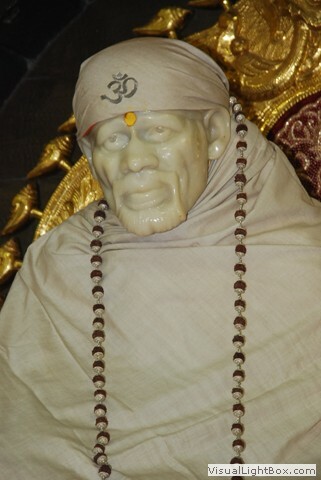 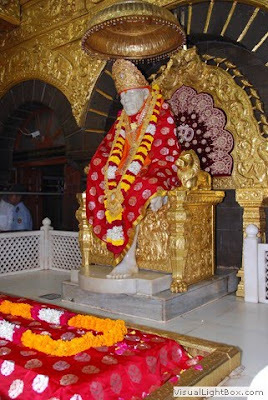 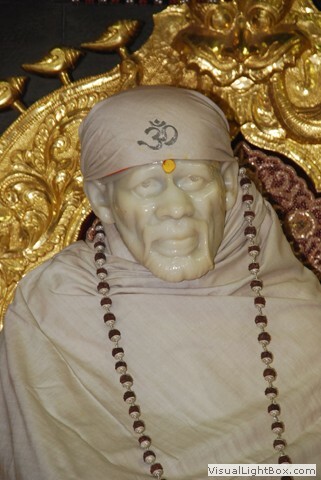 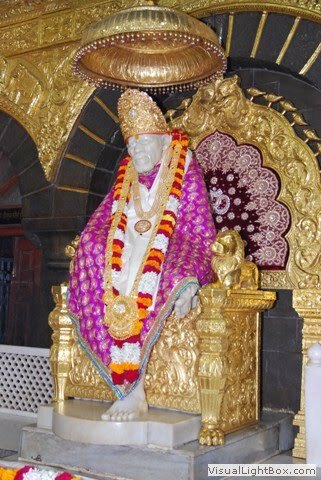 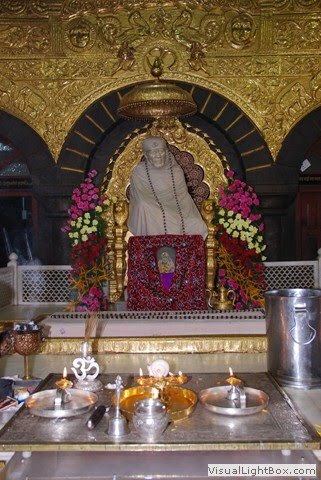 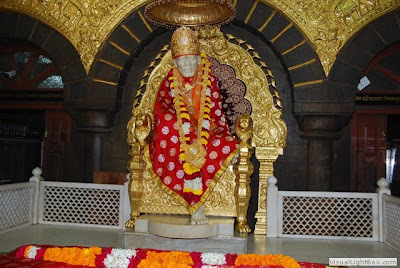 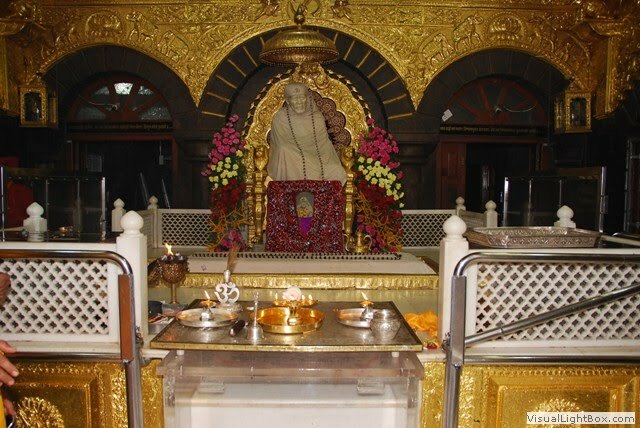 THANKS FOR SHOWING US THE DEVOTIONAL PHOTOS OF SAI WHICH HAS BEEN TAKEN ON THE OCASSION OF GURUPOURNAMI. very nice pa om sai ram om sai ram om sai ram. 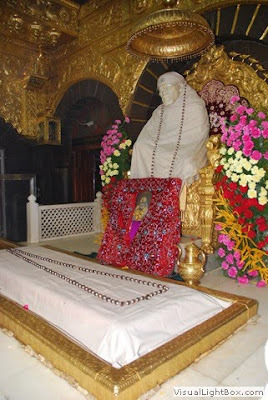 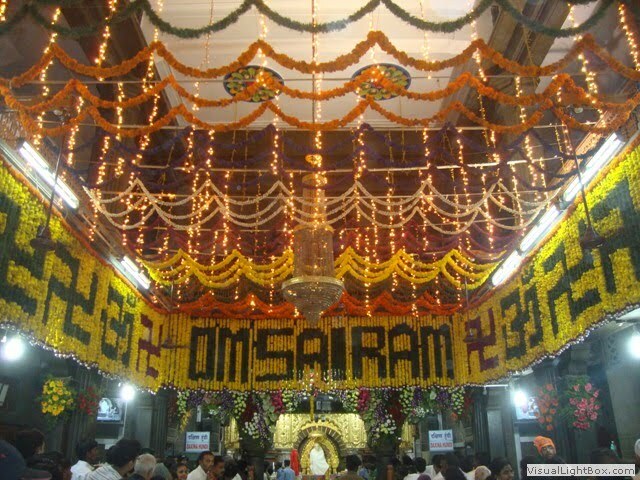 ITS REALLY HAPPY 2 SEE ALL GURUPOORNIMA PHOTOS..
Om Sai Ram..Sree Sai Ram ... Jai Sai Ram... Jai Jai Sai Ram..